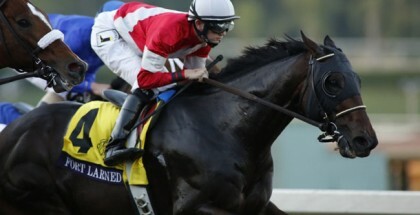 Iroquois Stakes 2014 Picks & Plays: The 33rd running of the Iroquois Stakes (GIII) is set for Saturday, September 6, 2014 to be run at 1 1/16 miles on the dirt for 2 year-olds at Churchill Downs in Louisville, Kentucky for a purse of $100,000. The winner gets an automatic paid spot in the 2014 Breeders’ Cup Juvenile race as this is a “Win and You’re In” race that is part of the Breeders’ Cup Challenge Series. 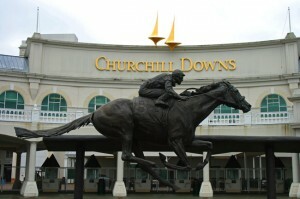 This is the first race as well to where points will be awarded for the 2015 Kentucky Derby. 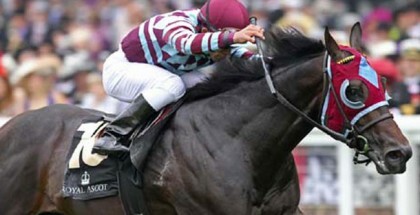 The Iroquois Stakes is named for Iroquois, the first American horse to win the English Epsom Derby. 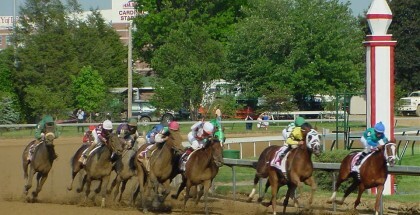 The speed record for this race is held by Harlan’s Holiday at 1:35.01 in 2001. The trainer with the most wins is William Mott with four, 1983, 1990, 1991 & 2007. The 33rd running of the Iroquois Stakes is the 9th race of the day with a start time of 4:55 pm, PST and is followed by the Pocahontas Stakes (GII) for the fillies at Churchill Downs on Saturday, September 6, 2014. 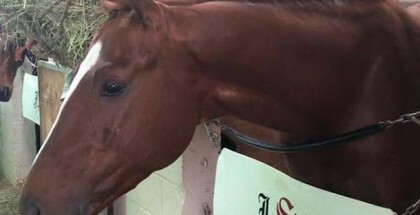 The Iroquois is part of the Churchill Downs racing program that will feature four stakes races on Saturday, September 6th, the second day of the track’s 12-day meet. Also included in Saturdays lineup is the (GIII) Ack Ack for 3 year-olds, the Locust Grove for fillies and mares and the (GII) Pocahontas Stakes. The September Meet opens this Friday, September 5th and concludes on Sunday, September 28th, running Friday – Sunday each weekend with “Downs After Dark” night racing scheduled for Friday, September 5th (Opening Night) and Friday, September 19th. Donegal Racing’s Cleburne won the Iroquois last year for trainer Dale Romans but suffered an injury that prevented him from running in the 2013 Breeders’ Cup Juveniles race. The 2014 Iroquois Stakes is the 9th race of the day with a start time of 4:55 pm, EST and is followed by the Pocahontas Stakes (GII) for the fillies. Sigi and I will be picking our top three in this race and a play so let’s take a look. The one to beat who has some serious speed is Mr. Z for D. Wayne Lukas and the Zayats. This Malibu Moon colt broke his maiden at first asking June 28th on this track. Next out he came in second, losing by a neck, going 6f in the Sanford on July 19th. He followed that up 3 weeks later in the 6 1/2f Saratoga Special getting beaten again, after a rough start, by I Spent It, who outran him. The two-turns should suit him and he’s got the best speed figures of the field. Will be just over bet in my opinion with I Spent It not in this race. Mr. Z breaks from post #2 with Lanerie in the irons again. I also dig the Lookin At Lucky boy the #5 Lucky Player for the Asmussen barn. First time out, on this track going 5f, his jockey lost the whip but he still cruised home for the win. Second out he was bumped around to finish 4th at 6f in the (GIII) Bashford Manor Stakes at Churchill. Last out at one mile in the Prairie Meadows Juvenile Mile on August 9th he was just beaten by a neck. With more ground, improving speed figures, from a nice sire who liked the longer runs, I think he can make a nice show of himself Saturday. Lastly, I dig the Graham Motion and West Point Thoroughbreds’ Cleveland Sound, a More Than Ready colt. Last out he finished a troubled 4th behind Mr. Z & I’ve Spent It in the Saratoga Special after running into a wall of colts, found a seam at the rail and was moving forward but was too late. He broke his maiden in strong fashion after dueling at the start at Delaware Park on July 10th. We’ll see how this boy does routing from post #6. Can D. Wayne Lukas get his first win for the Iroquois race Saturday? Probably but I’m going to use all three of my picks in a $2 Daily Double starting in this race and coupled with the Pocahontas. Race #9: 2,5,6/3,10. Definitely Mr. Z is the horse to beat. In his last race he was bumped at the start and despite that issue, managed to get second place. He has experience in graded stakes races. Cleveland Sound looked just okay in his first graded stakes race and should improve with the lasix added. Danny Boy crushed the field in his debut at Ellis Park and is moving up in class. However, he has the pedigree to be a solid runner. Thanks to Sigi for adding his picks. Wishing for a safe run all this weekend.